The highest level of professional legal representation for car accident victims and their families. We have over 20 years experience as lawyers representing those injured in car accidents and other vehicle accidents due to the negligence of others. Serious car accidents causing physical injury are often the first time people need to retain the services of a lawyer. Tennessee car accident injury victims need an experienced Nashville car accident injury lawyer to fight the car insurance company or pursue their claims in court. If you have been seriously injured, or a loved one has been killed, in a car accident, the Law Office of David S. Hagy, PLC, a Nashville injury law firm, has the legal skill, experience, and dedication necessary to help you get the medical care you need, collect the damages you are entitled to, and rebuild your life. Legal representation of injured victims in car accidents can be complicated and requires an experienced and dedicated attorney. Too often, Tennessee car accident injury victims are led to believe by television advertisements that they simply need to call an injury law firm and they will be handed a big check for their injuries. At the Law Office of David S. Hagy, PLC, we represent clients who understand that their case should be handled with professionalism, the highest ethical standards, and dedication by an attorney. We thoroughly investigate all car injury accidents on behalf of our clients, gather the relevant information, and have the skills and legal ability to understand that clients only obtain the best results when their case is handled directly by an experienced lawyer. Although most people that are involved in a car accident are not killed, many suffer serious injuries such as brain injuries, broken bones, burns, or other catastrophic injuries that leave them permanently hurt. Serious car accident injuries usually result in extensive damages for medical bills, lost wages, lost future earning capacity, pain and suffering, and permanent injury or disfigurement. Often even more minor car accident injuries can put a person out of work for weeks, months or longer, causing economic damage that may exceed the medical expenses and other costs of recovery. 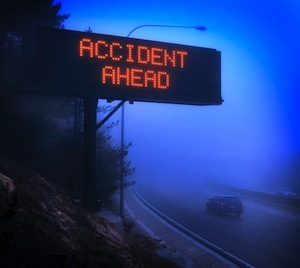 While many people have their first encounter with the legal system after a car accident, insurance companies are involved in car accident injury cases every day and have developed practices to try to reduce their exposure and the amount of money they must pay out to compensate injury victims. Insurance companies are known for attempting to settle car accident injury cases quickly and cheaply, often before a lawyer is involved. The extent of your injuries, however, may not be known right away. There may also be people at fault for your injuries other than the person who caused the accident, which may be crucially important if the at-fault driver carried little or no insurance. In some case, a vehicle defect may have contributed to the accident or the injuries. Improper roadway construction and maintenance may also be involved and must be examined. Often, there are complex medical, factual or legal issues that must be confronted for the best compensation to be obtained. If you have been involved in a serious car accident, it is important that you consult with an experienced Nashville car accident injury lawyer as soon as possible. Even in minor accident injury cases, the skills of an experienced lawyer are often worth the money that the lawyer will receive to represent you. Insurance companies may not offer the compensation you deserve - or simply refuse to settle matters in good faith - unless a car accident lawyer with the experience to hold them to account represents you. Oftentimes, a lawyer can help increase the amount you recover by working to ensure that the medical bills get paid by a number of different sources, including your health insurance, while you get to retain the highest recovery possible for your pain and suffering. Serious car accident injury claims in Tennessee will almost always involve fighting the car insurance companies, including liability carriers and uninsured motorist (UM) carriers. Many cases can involve other defendants as well, such as trucking companies, common carriers, construction companies, and governmental entities. Often overlooked, however, is the difficulties many people injured in car accidents will face with their own health insurance company. Medical expenses can be initially paid by a health insurance carrier, such as those who provide coverage through work, but then those health insurance companies often try to get back all the medical expenses they have paid out of any recovery a car accident injury victim might get from a third party. This "right of reimbursement", sometimes known as subrogation, can greatly reduce the compensation injured car accident victims can get because the health insurance companies will claim that they are entitled to get paid back even before you recover for your injuries, pain and suffering, and lost wages. A dedicated Nashville car accident injury lawyer can help reduce or eliminate the liability to health insurance companies for reimbursement. At the Law Office of David S. Hagy, PLC, we have been representing car accident injury victims through all aspects of their case, including fighting the health insurance companies' subrogation claims, to ensure that our clients get the best net recovery they can receive. Tennessee imposes a one year limit -- called a statute of limitations -- from the date of an injury during which period you must file any claim in court. If you don't file a claim in court within one year from the date of the car accident injury, your claim will be forever barred in Tennessee. This is a shorter time period than nearly every other state, and requires that you act quickly to contact a car accident lawyer. Even apart from the one year limitation, it is important that you contact an experienced car accident injury lawyer as soon as possible so that they can begin their investigation and collect the evidence that is needed to properly present any insurance claim or fight any case in court. At the Law Office of David S. Hagy, PLC, we limit the number of cases we accept so that every client and every case can get the attention they deserve and so that car accident injury cases can be investigated, litigated, and tried efficiently and with dedication. In every car accident injury case, we offer to represent our clients on a contingency fee basis. That means that any fees we receive are only collected if and when we recover money for our injured clients. At the Nashville offices of the Law Office of David S. Hagy, PLC, we have the skills and experience to handle car accident injury cases in a way that maximizes the recovery for our clients. We have handled numerous cases for people involved in serious car accidents, obtaining millions of dollars through settlements to compensate for personal and economic injuries. If you would like to discuss a potential car accident injury case directly with a lawyer, please contact us at our Nashville office online or call us at 615-515-7774.